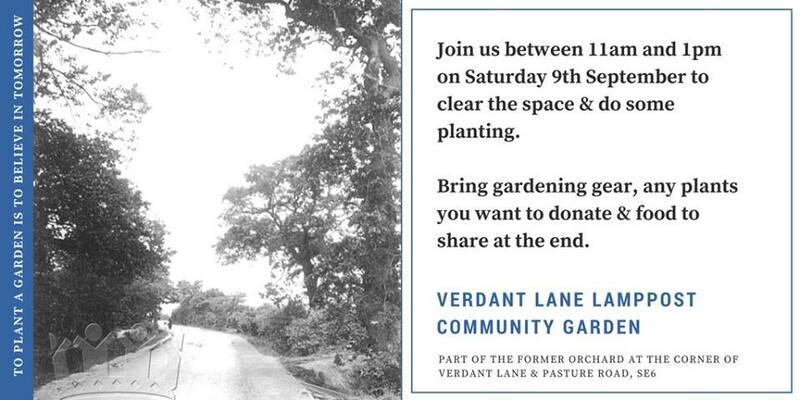 Local residents are getting together to make sure Verdant Lane lives up to its name The corner of Verdant Lane and Pasture Road is sorely neglected and on Saturday 9th September a group of neighbours will be showing it some love! Do go along and join them… they would welcome donations of any rooted cuttings, or spare plants. Next post Violin Music Lessons for Children + Adults!